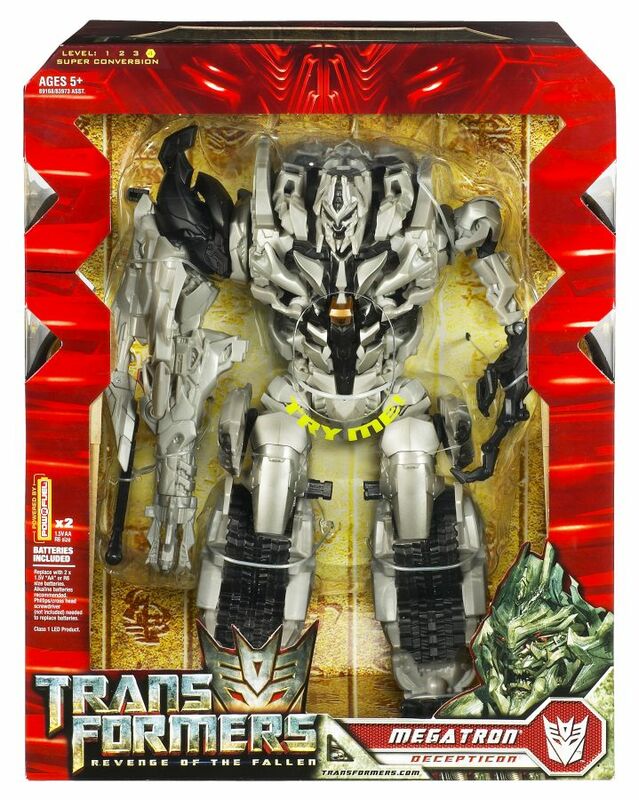 In preparation of the release of the Transformers: Revenge of the Fallen toyline this Saturday, TFW2005 has received official, high resolution images in and out of packaging for Leader-class Megatron. Official images in and out of package for these figures can be seen by clicking on the thumbnail to the left. 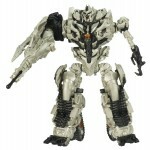 I hope the TF3 megatron is a triple changer. Sorry I don't know how to put a black bar over the said phrase reducing spoilers. yeah, im gonna be holding off on Megatron, for either a premium version, or to get te voyager, i jsut cant get past how blocky and plain this thing looks. The headsculpt on the voyager is 10x better. While I too am irked by spoilers, I have to defend the poster you have implied leaked a spoiler. The info you wanted hidden is actually posted in his official toy bio, I think. As good as bought for me! But C'mon Hasbro bring on pictures of that Leader Class Starsceam! I dig it, weird proportions and all. Yeah, hopefully they'll make a better mold in a smaller size class. They'd be hard pressed to do worse, that 'tank' mode is ridiculous. Sort of looks like a rorschach ink blot on top of 2 big fat legs. I'm really not liking anything about this figure at all. Bad proportions which make him look more clumsy and oafish than powerful with a cheap, almost non existent paintjob. Not a figure I'm ever going to pick up. I can see myself buying the voyager however. Overall I think it looks pretty good. Sure, it could use some paint, and face could be sculpted a little better. It's the lack of articulation that keeps me from buying it. The voyager can pull of such epic poses. That's were my money is going. I think it looks fine. You're just like me, you hate the pictures, but once you'll find it and buy it, just like I did, and pose him next to leader prime, you'll just fall in love with him. He's flawed, but he's massive, and mega madass. I probably won't get this dude. He's okay, but there's so many things that could've been done to make him that much better. I might get him but I don't like his left arm. It looks like crap. Horrible. I think I'll just get the FAB. also there is no voyager Sideswipe there is however, a human alliance Sideswipe. Wow….this is just awful. 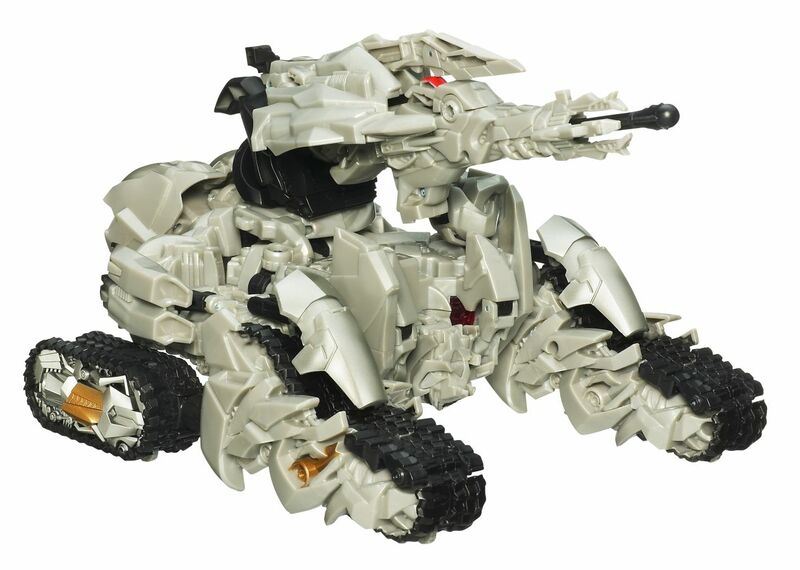 The wee spindly arm, lack of paint apps, crap tank mode…I hate to say it, but only the new deluxes that have nothing to do with the movie look any good, possibly excepting Voyager Sideswipe. The twins are irritating me already, they easily could have used Bumper or Cliffjumper instead of two robot Jar-Jars with tarded-up faces. All of the wheelformers are fail. I hate to say it,but i'm beginning to dread the movie based on the character designs. I can understand and relate to your disappointment with certain things but if it bugs you that much don't go see what will certainly be a great movie. I saw him at Wal-Mart last week and boy does he look awful.